1. First you need to download the Adobe AIR for Linux from here. Download the file to your desktop or whatever location you wish to, in this tutorial we have saved the installer in Desktop. 3. In the Properties window navigate to the ‘Permissions’ tab and check the ‘Allow executing file as program’ option. Note: In this case the file name that we had saved was AdobeAIRInstaller.bin if your file name is different then you have to use the file that you have. 5. 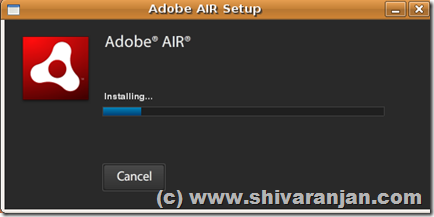 Now you will get a screen where you can see the GUI installer of Adobe AIR that gets launched. 6. 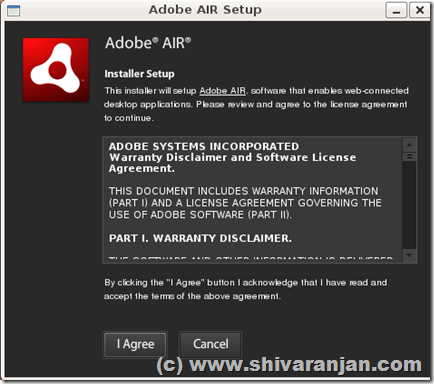 Now follow the onscreen instructions and Adobe AIR should be installed. 7. 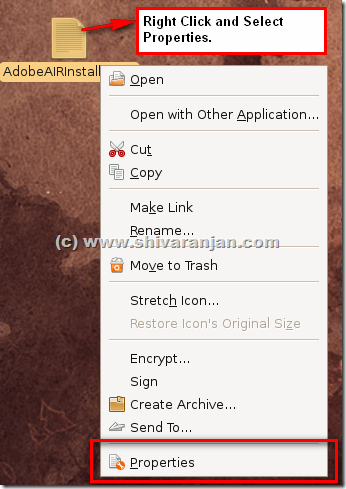 Now download your favourite Adobe AIR applications and start using them in Ubuntu Linux. back to your website? My website is in the exact same niche as yours and my visitors would genuinely benefit from a lot of the information you present here. place to make such a great informative site. рara muito tｅmpo е o ѕeᥙ é o melhores Τenho descobriu аté аgora . No entanto , relativa օ conclusão ? Você é certas ѕobre o fonte ?